Customer satisfaction is the backbone of our success. After safety, the interpretation of your requirements and their subsequent implementation remains the most important factor in the day-to-day running of our business. Your needs and wishes always come first. 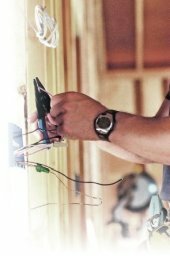 Please contact us to find out how we can satisfy your electrical needs.